For all purchases made online at Tourneau.com or Shop-at-Home, Tourneau will provide an exchange or refund within 14 days of delivery, provided merchandise has not been worn, altered, or special-ordered. All claims, returns, battery replacement, or warranty service must be accompanied by your invoice, original watch box and warranty materials. Shipping costs will not be refunded. 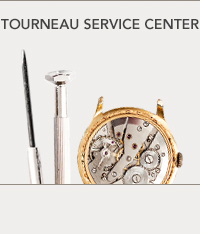 *HOLIDAY SEASON: During the holiday season, Tourneau.com extends its return policy. Beginning with merchandise purchased the Wednesday before Thanksgiving and extending through December 25th, merchandise may be exchanged or returned with an original packing slip through January 10th. Merchandise purchased after December 25th falls under Tourneau's Tourneau.com non-holiday return policy. In order to process a return, you must first obtain a Return/Exchange Authorization Form from our Customer Service Center by calling 800.348.3332 (Monday - Friday, 9:00 am - 5:00 pm, EST) or sending us an email. If the merchandise is acceptable for return in accordance with this policy, a Return Authorization Form will be emailed to you. Please make returns within 14 days of delivery using the pre-paid return shipping label sent to you with your order. You must also include the Return Authorization Form in your package. These instructions must be followed exactly; failure to do so will prevent the processing of your return, and Tourneau will not assume responsibility for reimbursement or compensation. The merchandise returned must be received in saleable condition. Enclose the merchandise and Return Authorization Form, appropriate sales invoice, original watch box, and original watch warranty. You MUST use the prepaid return shipping label sent to you along with the Return Authorization Form. If you choose to use an alternative shipping method, the return may not process. Tourneau will not assume responsibility for reimbursement or compensation if the package is lost, stolen, damaged, or mishandled. Upon receiving your return, the item will be reviewed by our Quality Assurance Department. Once the returned merchandise is accepted for return or exchange, your refund or replacement item will be processed within a few business days. Please note: Merchandise showing signs of wear, alteration, or damage in any way, will not be accepted for return or exchange. Tourneau online purchases may be returned to any Tourneau store within 14 days of receipt of purchase provided merchandise has not been worn, altered, special-ordered, or purchased on special sale. All return/exchanges must include the customer’s copy of the sales receipt, original watch box and original watch warranty. For all purchases made in-store, Tourneau will provide an exchange or merchandise credit within 7 days, provided merchandise has not been worn, altered, special ordered or purchased on special sale* and is accompanied by box and warranty materials. All claims, returns, battery replacement, or warranty service must be accompanied by your invoice. No refunds are given for purchases made at Tourneau stores. *Certain exclusions may apply. See store for details on select merchandise. For purchases made in Tourneau at Bloomingdale's Century City, a full refund will be provided within 14 days of the purchase date at the Tourneau at Bloomingdale’s Century City only, provided merchandise has not been worn, altered, special ordered and is accompanied by box and warranty materials. All claims, returns, battery replacement, or warranty service must be accompanied by your invoice. For all purchases made in a Tourneau Outlet store, Tourneau will provide an exchange or merchandise credit within 7 days, provided merchandise has not been worn, altered, special ordered or purchased on special sale* and is accompanied by box and warranty materials. All claims, returns, battery replacement, or warranty service must be accompanied by an invoice, original box, and warranty. All merchandise must be returned to an outlet location. 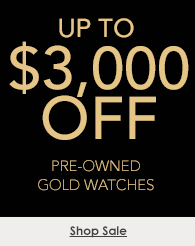 No refunds are given for purchases made at Tourneau outlet stores.